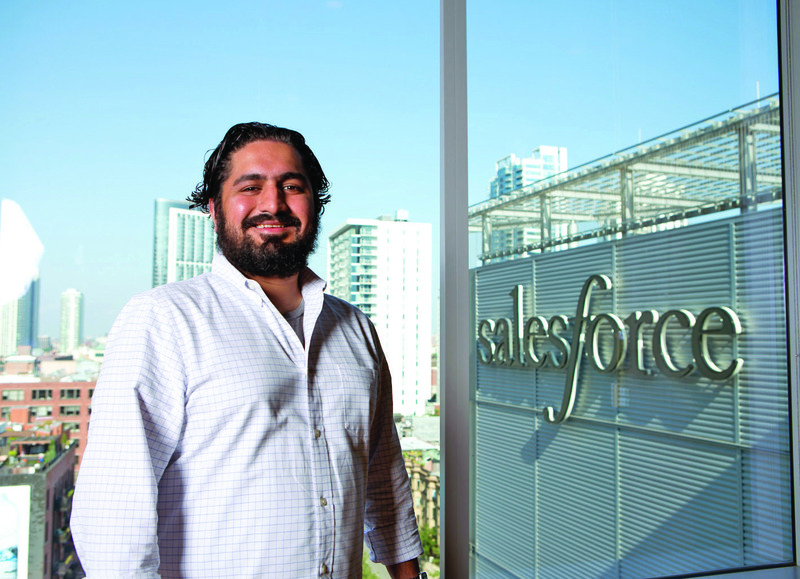 “I am the epitome of the ‘Oregon Trail’ Generation,” says Sanjay Gidwani (CDM ’03), senior director at Salesforce.com. He’s proudly referencing a descriptor for a subset of people who were born at the tail end of the ’70s and into the early ’80s. They came of age as technology was taking hold in everyday life. Personal computers were just beginning to gain popularity, and educational computer games like “Oregon Trail” were becoming classroom staples. For many, Gidwani included, the game itself serves as a major milestone, marking the beginning of a lifelong fascination with technology that translated into a successful career. After spending several years in the technology industry honing his programming skills, Gidwani accepted a position with Model Metrics, a cloud solutions company that eventually moved him to San Francisco. Three years later, Model Metrics was acquired by Salesforce, a company that focuses on cloud computing and customer relationship management solutions. Gidwani and his wife, Karla, moved back to Chicago in 2012. He now oversees Salesforce’s Platform Success Practice within professional services. Gidwani’s team is responsible for consulting engagements that ensure Salesforce customers experience maximum value from the platform. Gidwani often travels to help customers implement Salesforce-based applications. He’s been to Argentina, Colombia and London, where he worked with Burberry and met former CEO Angela Ahrendts.